What is a processed food? This is the exact question that has been on the back of my mind for over a year now. Anyone could tell you fruits and vegetables are necessary and you should eat whole grains, but what about the other chemicals added to those goods? I sent out a visual about amounts of sugar and a video regarding types of processed foods to my peers to get them thinking about just that. I also encouraged them to read about the Advantages and Disadvantages of processed foods and how Japan, our temporary home, can be affected (or affect) what we eat. In Global Chat 8 with Grade 10 at THINK Global School, I discussed this topic and kicked off the discussion with the broadness of what a processed food is. A somewhat general consensus was reached and we openly concluded processed foods have been ultimately changed drastically from their original form, chemicals are added, and they are not what we should be eating. My prediction on their answer was hit right on the nail; however, the talk went down a road I did not even consider in the planning process. I imagined my classmates focusing on the candies, the potato chips, the sodas – but the path lead us to discuss chemicals and pesticides added to produce. On this note, I was yet again impressed with my peers for recognizing a hidden form of processed foods that I myself did not consider beforehand. Madeline continued to sum up the overarching theme of our talk by stating, “We are placing a value on our health.” I was relieved to hear her say this because I was worried they would misunderstand my intentions of the discussion; however, I believe my goal was met and talking about processed foods made us think about what we are eating and how it effects us and the world. We do not spend enough time thinking about what we are putting in our bodies. These goods we use as fuel are created with chemicals and often in factories, not by humans. 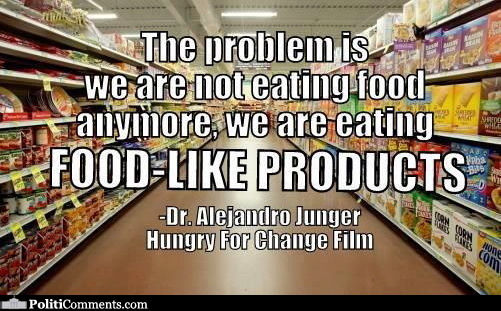 It is our choice as to what we consume and it is time to question if health is worth the extra dollars and time. **The title was inspired by a quote from Martino. Listen to the podcast to hear more amazing quotes! Tags: g10, globalchats10, globalstudies, hiroshima, japan, learning, podcast, processedfoods, TGS. Bookmark the permalink.